Magazine. Loading time : a few seconds. 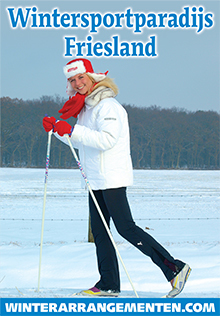 One day free public transport in Friesland! From the end of April 2017 until the end of 2018, tourists who visit the Frisian Lakes area (www.friesemeren.eu, www.ijsselmeerfriesland.nl and www.snitsermar.nl) as well as the National Park Drents-Friese Wold (www.oostfriesland.info) can use the public transports of the company Arriva (bus and train) for free during one day. It concerns a trial till the end of 2018 initiated by the province of Friesland with a total cost of 575.000 euros. The Frisian Peat Course is throughout the world a unique historical course. It’s an extensive system of canals with sluices and bridges in the southeast of the province of Friesland (Netherlands), excavated between 1630 and 1830 for the transport of peat. Peat, dried bog, represented until 1900, when coal was coming on, an important fuel in The Netherlands. The so-called associates, the cooperating peat bosses, handled the extraction of peat in the vast Frisian low and high moor all around Heerenveen, Gorredijk and Appelscha. The most important – and also most widely known – waterway they excavated is the Opsterlandse Compagnonsvaart (Opsterlandse Associates Course): from Gorredijk up to Appelscha at the Drenthe border, 34 km. Also the partly canalised river Tjonger, flowing from Oosterwolde in westerly direction to Schoterzijl and Kuinre to the former Zuiderzee, constituted and constitutes a part of the Peat Couse. Subsequently smaller unlocking channels were developed, Dutch “wijken” (make ways), Frisian “wiken”. Thanks to the Foundation De Nije Kompanjons of Friesland, cruisers can follow the ancient track of the peat skippers on waterways, wijken and small rivers, all the way up to Drenthe and Overijssel. If you want to lose yourself in the turbulent and contrasty past, the world of moor and peat, you are welcome in the peat museums of Nij Beets, Gorredijk or Heerenveen. Golden hint: Take your bicycles on board or rent them in one of the villages along the course. Every meaningful place of interest is within cycling or walking distance from the course. For sailing the Frisian Peat Course, some restrictions apply with regard of the pleasure craft. The permitted maximum cruising speed is 6 km/h. 16 May to 15 September 2017. The bridges and locks of the Frisian Peat Course are operated free, except for a number of swing bridges. These should be self-opened and closed. Monday to Saturday from 09.30-16.30 hours. Closed on Sundays and holidays. During July and August also on Sundays. The entrance to the Torf route is free. At some places a dockage fee is due to be paid, like in the marina “De Uutwiek” in Oldeberkoop. In Appel­scha and Donkerbroek, a small fee has to be paid for the use of the sanitarian facilities there, as well as for the electric connections. On page 20-21 in this magazine you will find a map showing the route on which all locks and bridges are indicated. Caution! The railway bridge at Heerenveen is 3,25 m high. Please make sure that other people will not be inconvenienced by your pet(s). Keep dogs on a leash at mooring places and harbours and clear out droppings immediately. Visitors to the Peat Course are searching for peace. Please prevent other people experiencing your sound system or other audio sources. If you have any questions, comments or complaints about the operation of locks and bridges or on the navigability of the channels, please inform the lockkeeper or the harbour master of a marina. tel. +31 (0)58-292 86 66. National Park Weerribben-Wieden in Northwest Overijssel is, together with nature reserve Rottige Meente in southern Friesland, the largest continuous marshland area in Western Europe. The tourist highlights are Giethoorn, Wanneperveen, Kalenberg and Ossenzijl. Neighbouring historic towns such as Blokzijl, Vollenhove, Zwartsluis, Steenwijk and Wolvega add extra attraction to a holiday in this region. This water abundant area is the habitat of hundreds of extraordinary plants and animals (including very rare ones, such as the otter) and of people who have a close bond with nature. The best way to explore this region is by bike, boat (tour boat, electrosloop, rental yacht or canoe) or simply on foot, following well-signposted routes. The variation in the wetland is huge. Here an outdoor cafe; there a bridge. Small farms, meandering rivers, woodland, reed fringes and stacks of reeds, meadows with cows, dikes with sheep. A multitude of cosy hotels, bed and breakfasts and camping sites offers accommodation to tourists from all over the world.